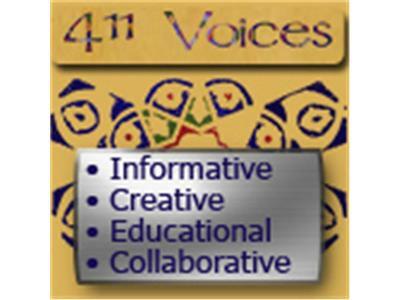 411Voices- Arts, Entertainment and the Business of it ALL! If you liked this show, you should follow 411 VOICES. 411Voices brings two hosts during Arts, Entertainment and Business of it ALL! Featured Host, Dara Blaker will be talking weekly to cool and fun artists in the entertainment industry to get their 411! Each week will feature new guests, new genres in the entertainment and arts and loads of great information. Louise Sattler, will be talking about "Parenting the Talent" the first Tuesday of each month. What is it like to be the parent of a budding actor, musician, model, artist, or athlete? What resources can parent access to help guide the way? What is the purpose of unions, such as the Screen Actors Guild (SAG) and AFTRA? Today's guest is musician, songwriter, Alan Merrill. He wrote such hits as the song recorded by Joan Jett, "I love Rock and Roll"
Want to be considered as a guest for these shows? Go to http://411Voices.com and "pitch your idea".